I started Pilates in April 2018. My reasoning for starting Pilates goes back to Memorial Day 2017. I woke up that morning and experienced a sharp snapping sensation in my left knee and it wasn’t long until the right knee decided to join in. This turned into constant discomfort and pain. 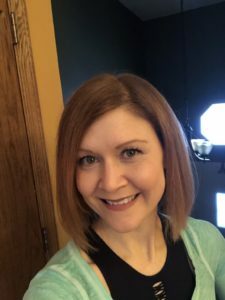 After what felt like a million doctors visits, MRI’s, XRays and PT- I was diagnosed with a connective tissue disorder: Hypermobile Ehlers Danlos Syndrome (hEDS). After learning there really is not a medical fix for this condition I was instructed to go to PT in order to strengthen my body to support my “loose” joints. 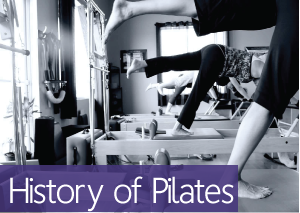 Throughout PT my physical therapists and doctors all recommended I try Pilates since it was something that would help me build overall strength. I decided to give it a shot after my brother went and scoped out Rivercity Pilates and did a private himself. He came back to me with all the information and I decided it was worth a shot!! I try to go to at least 4 classes weekly, but on the days I am not able to make it to class I incorporate Pilates exercises into my morning stretches/exercises. Pilates has really helped me manage my pain/discomfort on a daily basis. When I start my day with Pilates it always makes me feel so much better mentally and physically. For those reasons I actually have decided to to the Teacher Training Program as well!! I really feel that Pilates has helped me so much and am excited to learn all I can and hopefully help others who may be experiencing anything similar. I really love the Roll Down or Neck Pull right now, but I have SO much to learn, so who knows what my next Favorite will be!! I would say “DO IT”! Not only is it a great way to get a whole body workout but it helps you so much in your daily life!! !